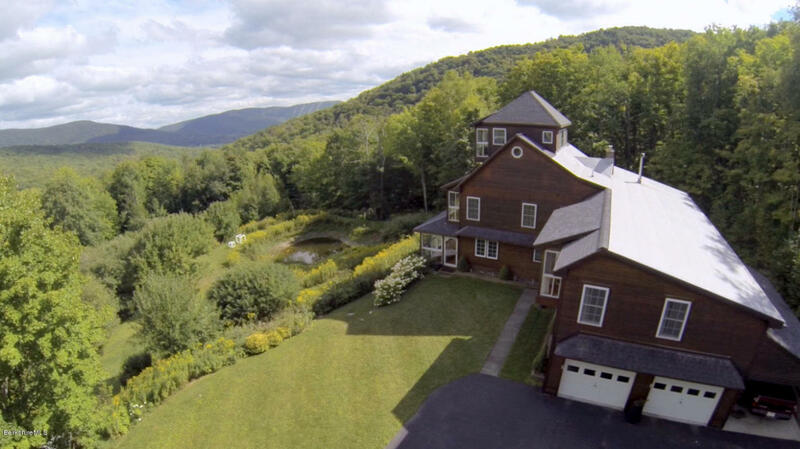 One of the Berkshires’ coolest properties and homes on 26+ acres with wide and distant views! Total privacy (you can not see another home) without isolation. Luxury amenities include black walnut, cherry & limestone floors, stainless steel Wolf and Subzero appliances in the open plan kitchen, enormous deck with cable rails to not block the views, and outdoor hot tub and shower. There are 5 bedrooms, including one of the finest master bedroom suites in New England + bonus rooms for when everybody gathers together — 5,000+ sq ft in all. Cost to own this stunning property is minimal when you consider your property taxes are incredibly low – under $2k/year! 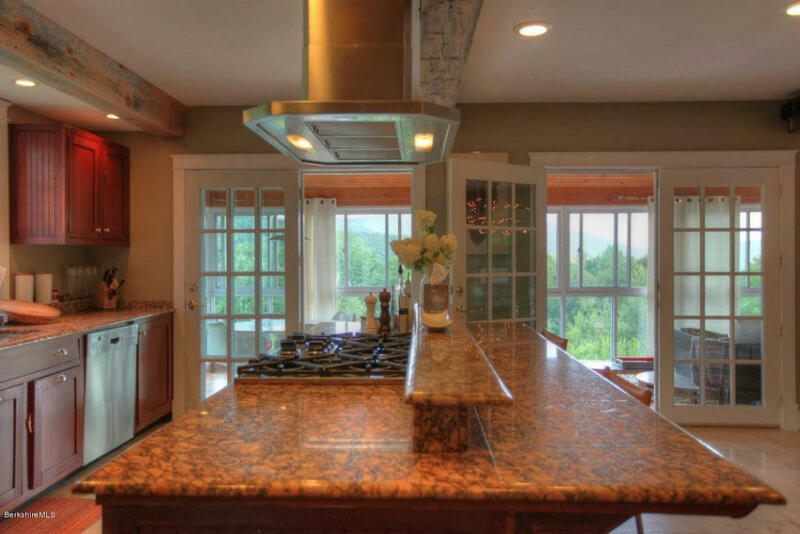 This is the ultimate Berkshire luxury ski house less 4 miles from Jiminy Peak Ski Resort. This is a spectacular contemporary in an equally awe-inspiring natural setting. The home melds seamlessly with the mountains surrounding it, with the spring-fed pond, the distant views and the meadows with colonial stone walls and apple trees from the 1800’s. 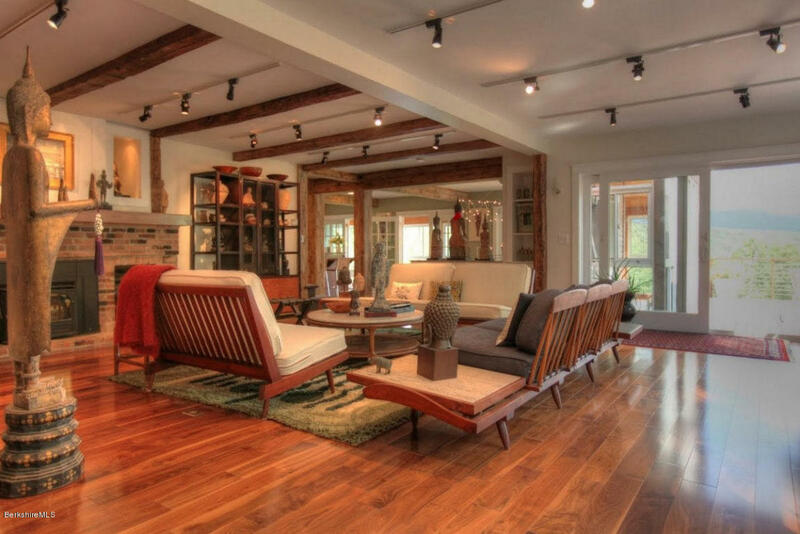 This is a thoroughly contemporary home that strikes a perfect balance with its open living areas, rich woods (including black walnut, cherry, and old mill beams), limestone floors, and passive solar features that flood the home with light. 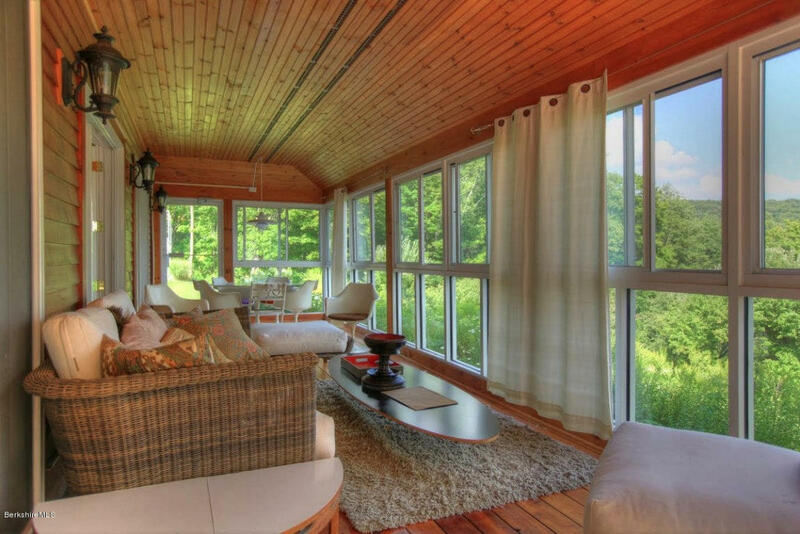 The home’s characteristics – such as what might be the finest master suite in the Berkshires, the tower room with a wall of glass and views all the way to Jiminy Peak, or the huge deck offering an outdoor living area atop the mountain – are incredibly compelling to be sure. However, the most compelling feature is how the home and the land are one. It is a rare property that functions perfectly for full-time and retreat and vacation living, but this home masters it. There’s room for all your family and friends to gather together but the home never feels too big. If you savor peace and quiet, want to dwell on a site of breathtaking natural beauty that backs up to conservation land and roam your nearly 27 acres that was once a colonial mountainside farm – all while living most comfortably in a house with a truly organic feel – this is your new home. Jiminy Peak is actually less than 5 miles away – and Williamstown is just 15 minutes away with The Clark Art Institute, Williams College and fabulous restaurants. Mass Moca is not much farther, nor is Pittsfield with its bourgeoning art and culture scene, or picnic at Tanglewood in Lenox! This is land with a heritage, and a rich past waiting to be rediscovered. There’s a very special reason why some brave family called this special place their own well over a hundred years ago, and worked hard to make a go of a farm here. Hancock is a special, and vastly under-appreciated town as well. Sure the taxes are unbelievably low, but that’s not what makes it most special. 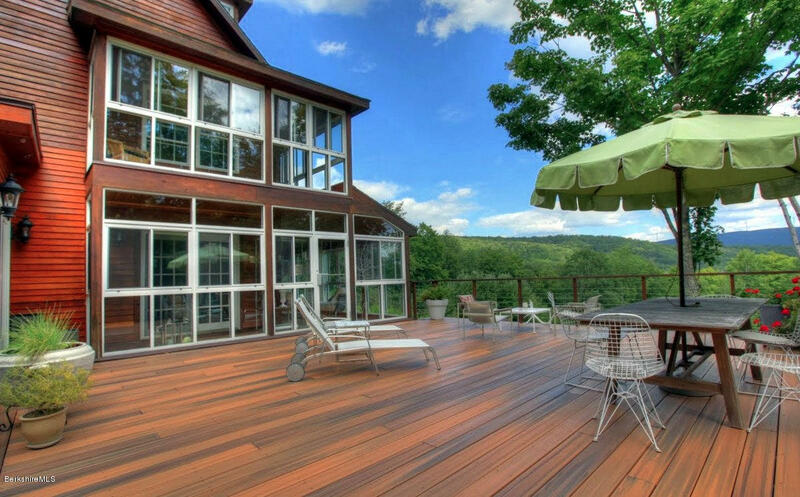 Make an appointment and come up to the top of the mountain, leaving yourself a couple of hours to experience the home, the land, the views and to just sit and breathe in a unique and special spot of beauty in the Berkshires.